Isn’t it awesome to know that when you need to replace your old windows you can call on the best window company in Greeley to take care of everything for you? Greeley Window Company appreciates the continued patronage of our friends and neighbors when it comes to window replacement, as well as the trust bestowed upon us when it comes to working on their homes! It's time to replace those old windows! Our team of window replacement professionals will explain everything before they begin, and answer any questions you may have. 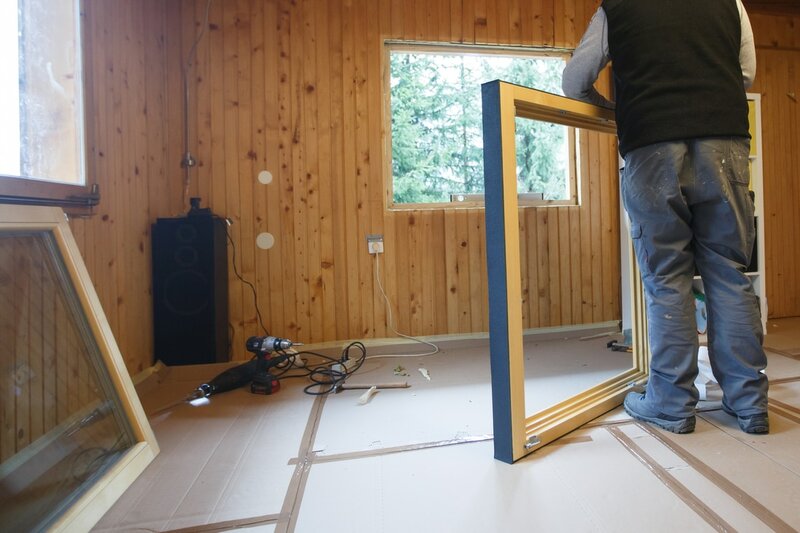 Replacing your window isn’t something you do very often (barring an unforeseen event) and shouldn’t be something you should have to worry about not being done correctly. As with everything we do, Greeley Window Company offers a full warranty on all of our work and don’t consider a job finished until you are impressed! When entrusting your particular decision to a window company, you need to be sure that you pick the right one. Greeley Window Company wants to make this choice easy for you by explaining what sets us apart from our competitors when it comes to window replacement. Warrantied Work- Everything we do, from window replacement to window installation and beyond is backed by our full warranty. It is rare that we have to stand by this promise, but it is great to know that if you ever have an issue, we will take care of it quickly no matter what! Meticulous Approach- By creating a repeatable and efficient system when it comes to window replacement, Greeley Window Company produces results that are impossible to ignore when it comes to exceeding your expectations! Affordable Options- By continuously searching for the best value in materials we guarantee the best value for our competitive pricing. Our experts will help you find the right choice for your window replacement and help you to stay within budget at the same time! Window replacement starts where it obviously should; removing your existing ones. Carefully removing your old windows without causing unnecessary damage takes skill and practice which our window replacement team has to spare! You trust us with the home you and your family live in; we will take care of it! After we carefully remove your windows our professionals measure and re-measure the space and make any needed adjustments. Our team comes prepared with everything they may need to ensure that our window replacement is done quickly, saving you time and money! After placing your new windows into their position, the experts at Greeley Window Company seal the windows into their positions. Once everything is complete, we clean up after ourselves and let you enjoy your new windows! For the best window replacement near you, call Greeley Window Company! As a top rated window company in Greeley, we strive to be the best at everything we do. This means that when it comes to finding people to join our team of experts, our standards are very high! Our window replacement teams are held accountable for their work and their ability to follow our winning process, as well as be able to adapt as we continue to refine our procedures. As the saying goes: if it isn’t broke, don’t fix it! Our technicians are the lifeblood and the face of our company while in your home, and as such will conduct themselves respectfully while they are replacing your windows. Few of our competitors consider that a part of customer service, which is one of the reasons why we are the best window company in Greeley! Call us today at 970-373-1665 for a free estimate!